What is the reference for the publication? What is your name, expertise, position and affiliation? My name is Ulf Schmitz, I am a bioinformatician and currently I’m appointed as post-doctoral researcher and senior lecturer at the Centenary Institute and the Sydney Medical School/University of Sydney. What is the general problem being addressed by this particular work? To address current biomedical challenges, i.e. to find novel means for treating complex human diseases, it requires a combined effort of researchers from the basic and applied sciences as well as clinical researchers and practitioners. We need novel approaches integrating methods from various disciplines for building models and make predictions for phenomena effecting biological systems across multiple levels and scales. The idea is to lay the foundations for overcoming the limitations that are associated with reductionistic analyses of biomedical problems. Why do you feel passionate about this publication? This book introduces the emerging field of systems medicine and describes a transition, if not a turning point, in modern biomedical research. It is the first book of its kind and it contains contributions from leading experts from across Europe. I really enjoyed working with these eminent scientists and reading their highly engaging chapters. What is the challenge being addressed? Although, technological advancements allow the generation of ever more detailed snapshots of life across multiple levels of temporal and spatial scales, and despite a wealth of new insights on how life is organized, it is a long way before we are able to translate this improved understanding to achieve a sustainable impact on clinical practice. The book highlights possible avenues in this endeavor and provides examples of successfully running systems medicine projects. What is the main result? The book is structured in four parts. Part I contains chapters describing the concepts underlying systems medicine and how bioinformatics and systems biology can feed into this integrative approach. 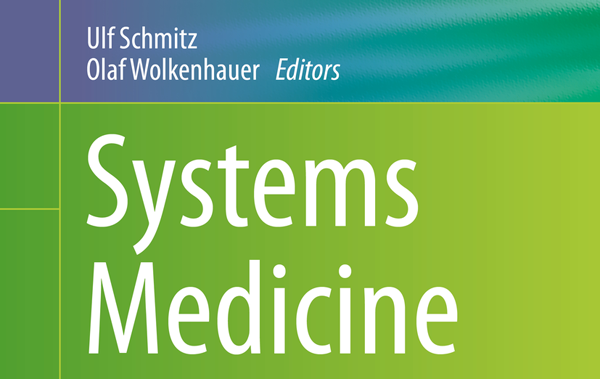 The second part contains opinions and perspectives on the role that systems medicine should play in various medical disciplines, and in part 3 case studies are described to demonstrate different facets of the systems medicine approach in action. What methodology and/or technology was used? The fourth part of the book discusses tools, resources and methodologies from bioinformatics and systems biology, and how to apply these in a successful systems medicine project. What was crucial for the success of this work? Leading researchers in the field devoted their valuable time to help bringing this joint project and common vision to life. This book would probably not exist without their commitment. What is the breakthrough or advance coming from this work? The breakthrough is yet to come, however my hope is that this book contributes to the awareness of the necessity for a paradigm shift in biomedical research. It provides interested readers with thoughts and guidance on how to put a successful systems medicine project in place. What are the consequences of this work in a more general context? This book provides guidance on how to exploit the recent technological advancements and how to use available and novel methodologies, tools and resources to achieve a sustainable impact on clinical practice with respect to reliable prognoses, the development of individualized therapies, and monitoring of therapy success and patient well-being.